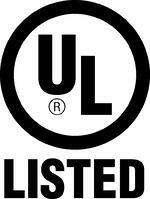 It’s not uncommon to have questions about these standards — What does UL listed mean? What does ETL listed mean? What’s the difference? — so Triad would like to clear some of the confusion. What is the UL Standard? Underwriters Laboratories (UL) is a Nationally Recognized Testing Laboratory (NRTL) recognized by the Occupational Safety and Health Administration (OSHA). 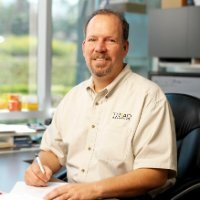 As an NRTL, UL devises, publishes, updates, and maintains minimal standards that certain types of products — magnetic components, other electronics, plastics, potable water, and so on — should maintain. When a product has been UL Listed, a representative sample has been tested by UL and found to meet all relevant UL-published Standards for Safety as a product in its own right. UL Recognized products are products designed explicitly as a part of a larger product — for example, a power transformer designed to be used in a PC — that meet all standards that are relevant to it in its particular end use. Triad products can be UL Listed or Recognized to any number of standards. UL registered as an LLC in 2012, abandoning its non-profit status in favor of becoming a for-profit corporation. Other NRTLs that are available include, but are not limited to, the Canadian Standards Association (CSA), the British Standards Institution (BSI), VDE, and the British Approvals Board for Telecommunications (BABT). Thomas Edison started the Lamp Testing Bureau to test lightbulbs for safety in 1896. Later renamed Electrical Testing Laboratories (ETL), the company expanded to include testing for Standards for Safety for a wide variety of electronics components and products. ETL is currently a division of Intertek Testing Laboratories. Intertek ETL is, like UL, an OSHA recognized NRTL. Unlike UL, ETL does not publish their own standards; instead, they test parts and components to the published standards of other NRTLs, including ASME, ASTM, and, of course, UL. None. Aside from the body that issues the listing, there is absolutely no difference between a UL listing and an ETL listing. Because Intertek ETL tests products to previously published UL Standards for Safety, products marked as ETL Listed meet exactly the same criteria as those marked UL Listed or UL Recognized. At Triad, you will find products with UL listings and with ETL listings, and now you know — they are exactly the same.